I love pottery and ceramics. I love vases, pots for plants, ceramic art and I like to mix and match my china. Over the years I have collected the work of artisanal potters and ceramicists. I hope you will find something here you like as well. Chive is a larger ceramics company than others here and creates whimsical and innovative designs for the garden and for flowers. 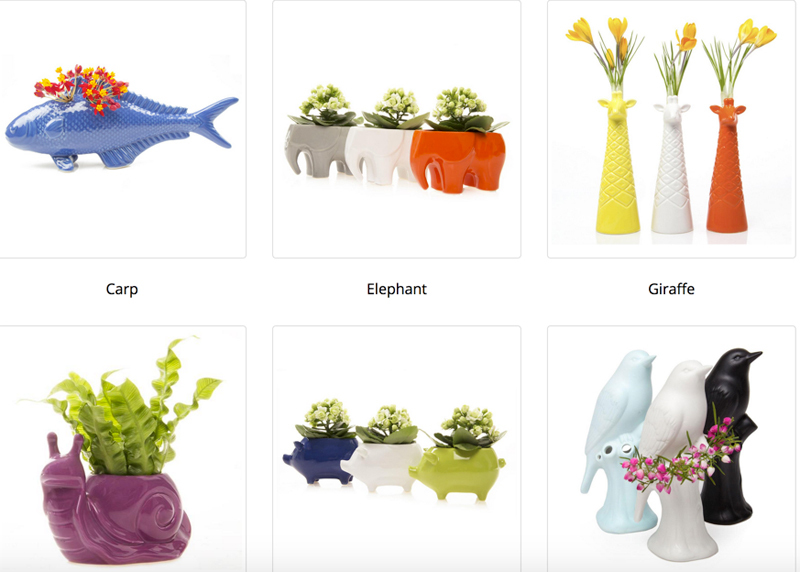 I am crazy about their animal vases and pot collections. They are colorful and stylish. The giraffe vase is one of my favorites. It is 6” tall and 2” in diameter. It comes in three colors, yellow, orange and white. Each is $19.95. The pig pot is new to the collection and comes in green, blue and white. It is 5.5”long x 3.5” wide and 3.5”tall and $17.95. Other creature pots include a rhino, elephant, snail, rabbit, birds and carp. They come in many colors. Chive sells pots with or without drainage. They come in solid colors or with designs. The Liberte pot with drainage is 3.5” in diameter. $14.95 each. 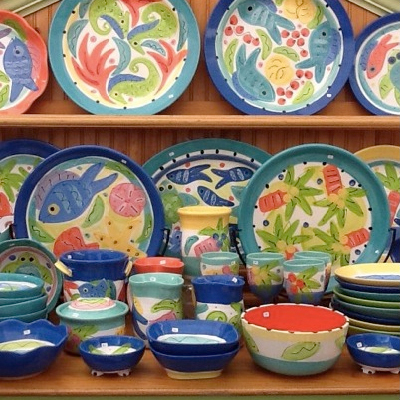 Susan Painter Pottery creates colorful hand painted “beachware” pottery in South Florida. It is dishwasher and oven safe. The dinner plates are 10.5”d and $38.00 each. There are four patterns and you can choose your color and design. 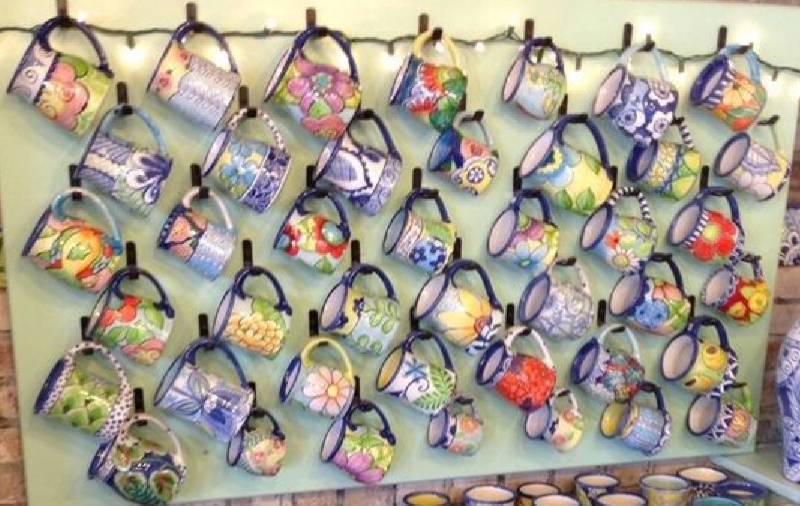 Damariscotta Pottery, in Damariscotta, Maine, has appeared in several of our articles. I love color and Damariscotta Pottery gives me that. It never gets old. I love every piece I’ve ever bought. The pieces are dishwasher safe but should not be put in the microwave. There is no website, so call 207-563-8843 and ask for Rhonda. She can take photos of what’s in stock for you. Quail is a British ceramics company I discovered when I came across some of their delightful egg cups. They make their items in the shape of animals and their pieces include salt and peppers, egg cups, vases, jugs and other table ware. They make chickens, garden birds, dogs, cats, goats, guinea pigs, hamsters, rabbits, British wildlife, and wild animals. 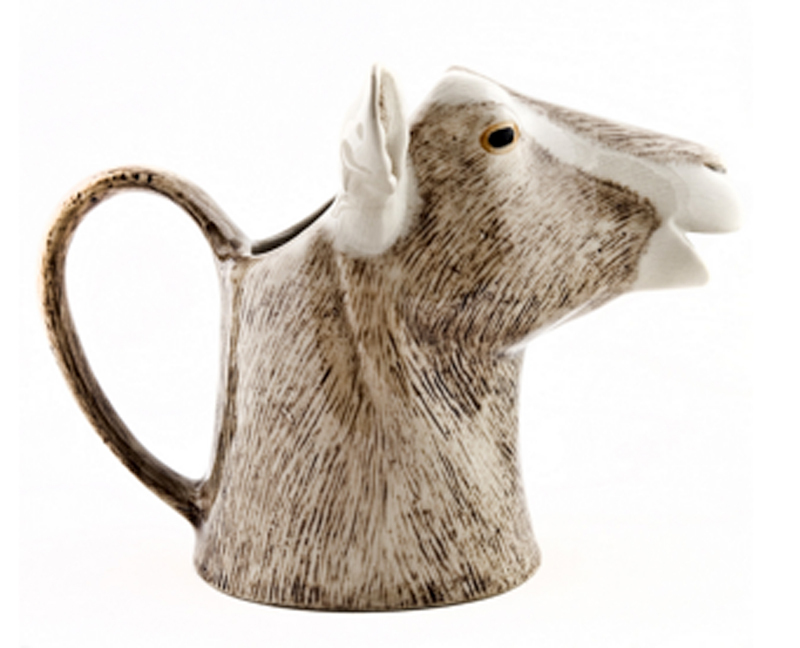 This Large British Toggenburg Goat Jug, pictured above, is 5”h hand painted stoneware jug. It can be put in the dishwasher, but not the microwave. $35.45. Contact them for shipping costs to the U.S. 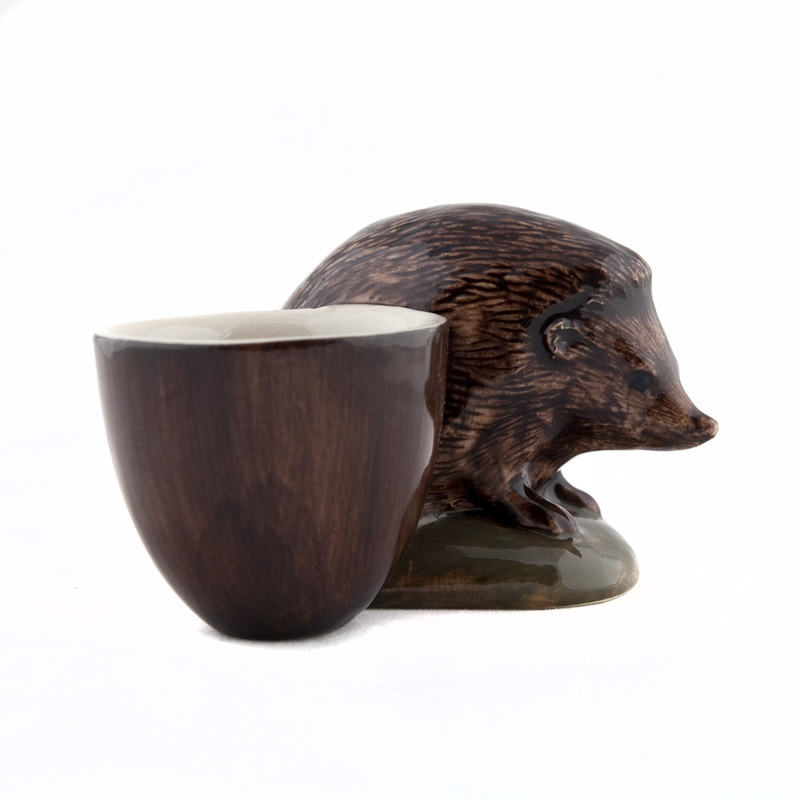 This hedgehog egg cup is adorable and would appeal to anyone about to eat an egg! $16.30 plus $20 for shipping from the U.K.
Jill Rosenwald’s pottery is handmade in downtown Boston. Each piece is made to order on the pottery wheel, and then decorated by skilled artists. 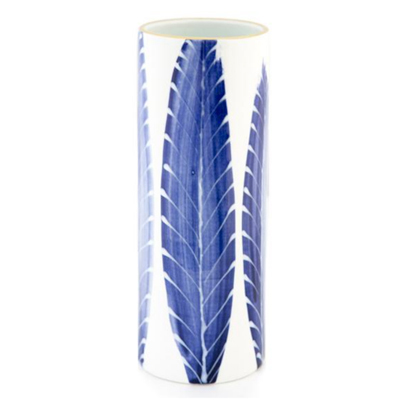 She uses a creamy white earthenware and finishes with a glossy clear glaze. She makes vases, bowls of all sizes, platters, lamps and utensil holders. Choose your colors, monogram or not, write a message, anything you want. This Feather #7 Skinny Vase is 6.5”h x 2.5”w and made to order. $100.00. Molly Hatch’s favorite color is cobalt blue, and since it’s one of my favorites I love everything she designs. She is trained in drawing and ceramics and began her career as a studio potter. She has since branched out and designs not only tableware but home goods, stationery and gifts. 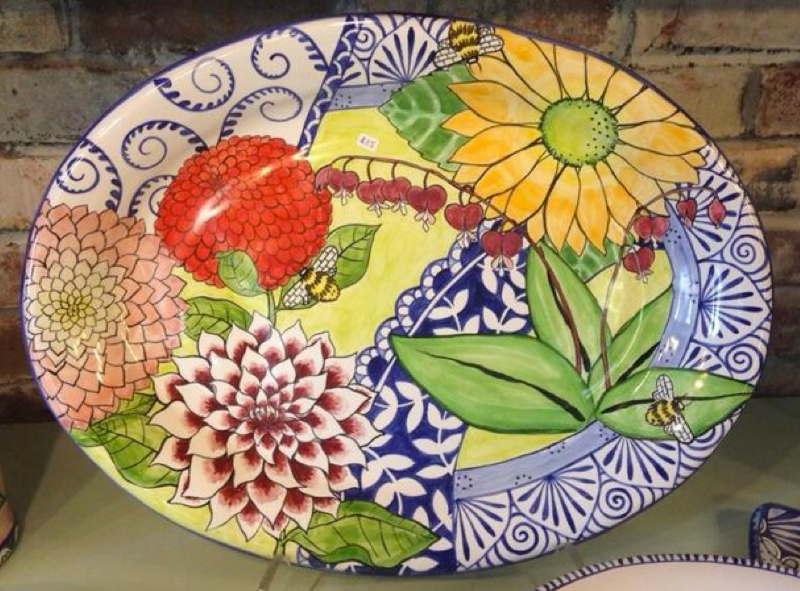 Molly’s ceramic designs include vases, mugs, plates, teapots, platters and bowls. Her Bluebird pattern has a cereal bowl, 8” plate, mug, the cup and saucer pictured here, platter, dessert plates and accessory pieces. 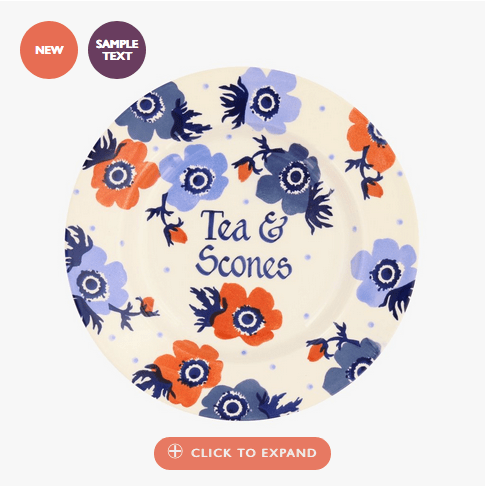 The cup and saucer are $32.50. 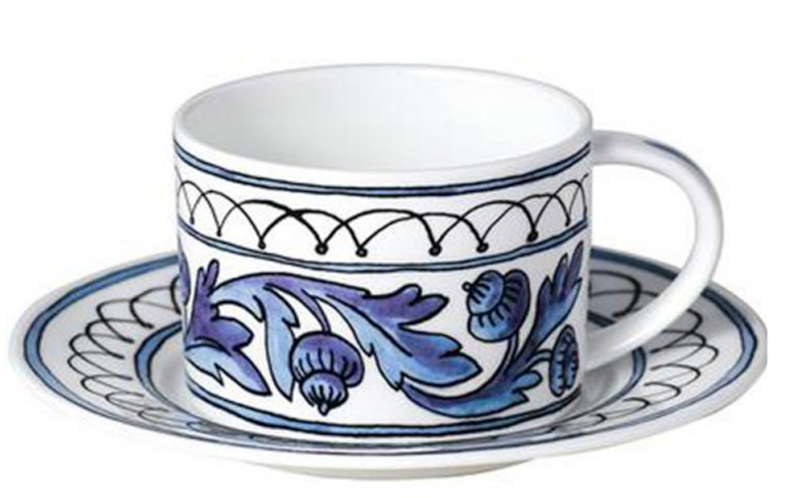 Emma Bridgewater started her British pottery company when she couldn’t find the right teacup and saucer for her mother. It is a favorite of mine because I love polka dots and stars and they have entire tableware collections in each pattern. It is a family company with Emma’s husband and four children all helping to run it. 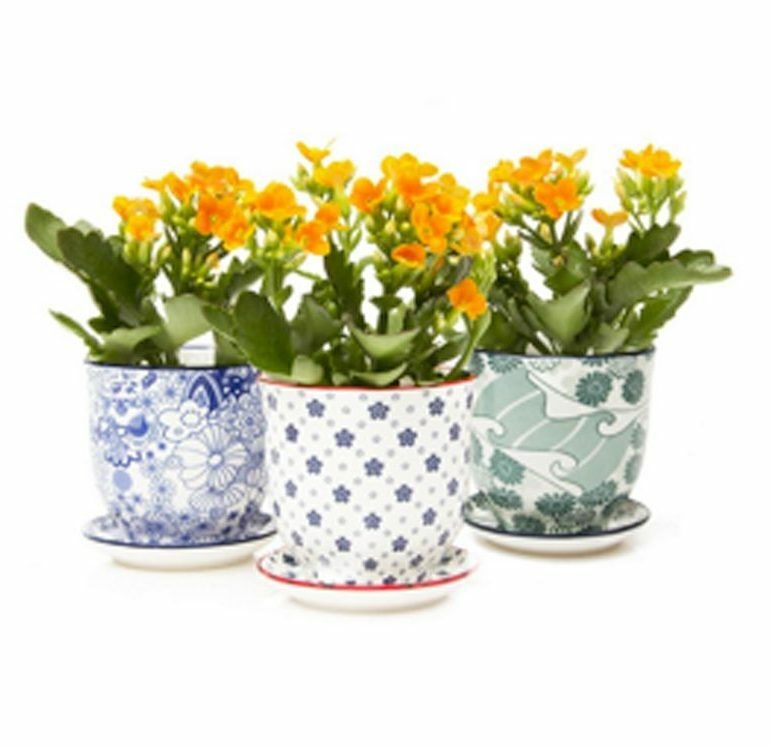 Their pottery is made from cream earthenware, a traditional Staffordshire product, that they make in their own factory in Stoke-on-Kent. They have many patterns, including beautiful animals and sea life, and make plates, mugs, bowls, teacups and saucers, serving pieces, jugs, vases and much more. Many items can be personalized, and their Pattern Page is fun to browse! Shipping to the U.S. is not a problem. Amazon carries some but not all the patterns and pieces. This personalized anemome plate, above, is $25.00. 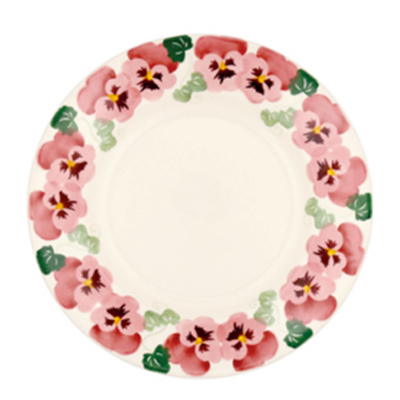 This Pink Pansy 10.5” plate is $26.37. 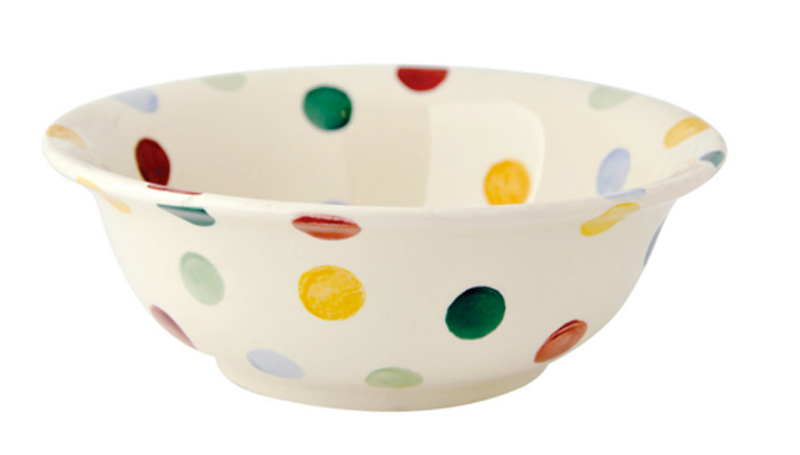 This polka dot cereal bowl is $26.37. Time For Safe Road Trips! Do you have a set of stoneware teapot because if you do, then I would love to see it. By the way, all of your products are looking amazing.